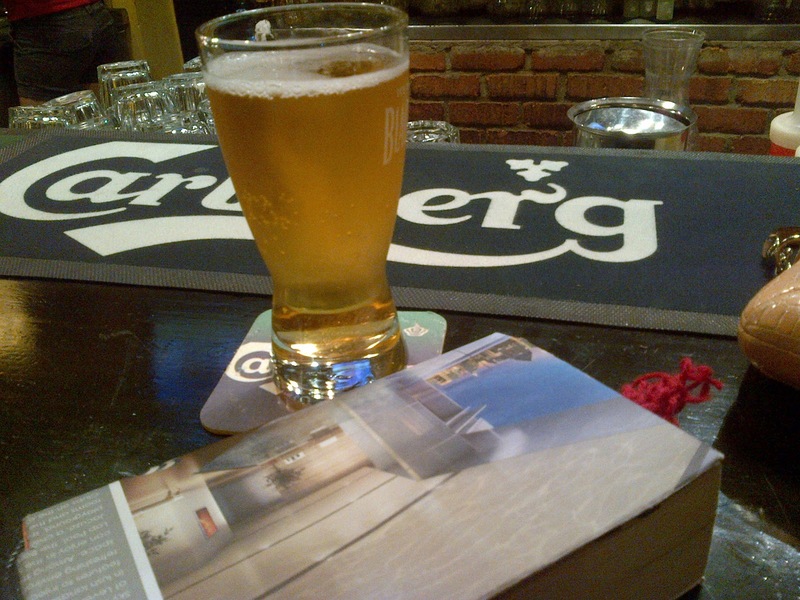 This is a terribly taken picture of a glass of Magners cider taken from TDH TTDI's bar top yesterday evening (Sunday). The point of this was just to inform you that for some reason, Blackthorn cider, which TDH was infamous for, has been replaced with Magners. Slightly curious but no complains though. Magners, actually goes down easier than Blackthorn and doesn't leave that strong metallic tangy aftertaste like its predecessor does. Personally not a fan of cider to begin with. After one drink and it hits my knees. I actually feel it softening my bones and cartilage, eventhough it's just in my mind. And there's this tingling sensation that runs through my arms too. So cider is something I really rather stay away from, or drink very sparingly. Cider's crispiness is still good for a hot summer heaty day though. With loads of ice. On a wet, cold Sunday evening however, I would recommend a good book, in a shaded al fresco pub, by a clean river (say, a Singapore one), with a glass of single malt of whisky that never stops topping up until you're done. But that's just me. YMMV. More novelty than functional because you'll spend hours freezing this up only to have it melt in your hands after a few minutes probably. But how frggin' cool is it to be drinking shots from a shooter glass made out of ice? FIFTY shades of cool! And you know what else I can do with this? JELLY SHOTGLASSES that's what. Now tell me your mind isn't already blown. Mine is. Had the privilege to try all these beauties at an impromptu, casual, whisky tasting session among very good friends. 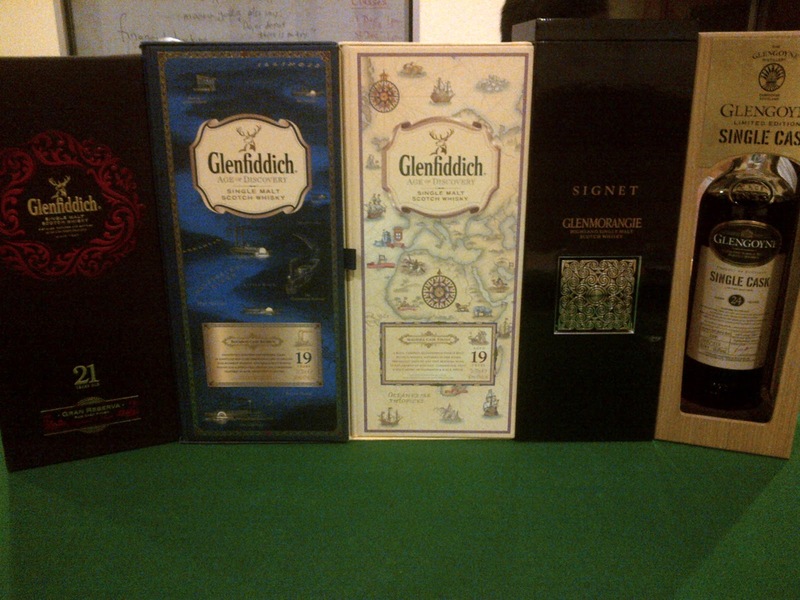 All 3 Glenfiddich had a lovely, sweet aroma, and it goes down smooth and sweet too. Definitely more flavourful and character than the original Core Collection (the 12,15,18...) which were just plain and oakey. 21 is of course, the strongest smelling and tasting one being 2 years older than its two other younger siblings. Call me a cougar but my penchant was towards its younger brothers. :) It's milder and more fragrant on my very delicate nose & palate. The Glengoyne was exceptionally fragrant, except because it was much older, the spirit from the whisky felt like it could burn off your nose hair, no joke. It was like sniffing perfume, almost impossible to drink it neat because it was so damn strong. Having a go at it while it's neat is too much for me but it tastes slightly different with ice. Actually it IS great with a piece of ice, and the whisky turns cloudy with it (don't panic, it's normal). Signet was really odd one. It has a hint of coffee smell and it has a very bitter, coffee aftertaste. It did not go down easy for me. But it's great if you're a coffee lover/addict - not for me. But it does have a lovely, sturdy, casing which makes it look really atas though. Sigh, how am I ever to go back to those affordable ones I have no idea. Perhaps I'll stick to water.